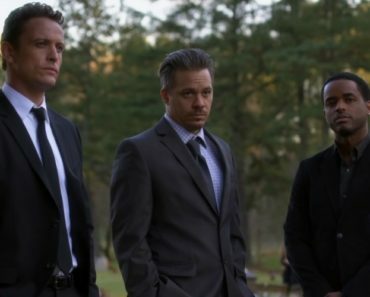 This week’s Game of Silence focuses more on the guys than the villains they are against as they try to make strides in their vengeance. In the battle against the monsters who terrorized them as children, Shawn, Gil, and Jackson experience a victory and a loss. There is still time to get complete their mission, but the deeper they get, the more they risk losing. After seeing that Quitman is still a setup for child labor under Terry Bosch, Jackson wants to save the boys in the way he couldn’t save himself. He goes back to Quitman to ask for help from one of his firm’s clients who is currently in Quitman. After some assurances the boy tells Jackson about the timeline of shipment deliveries. 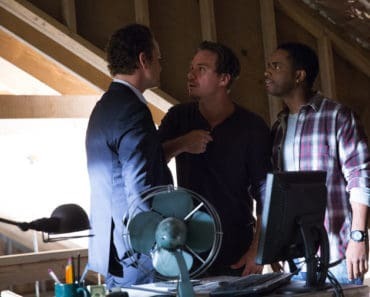 Jackson sets up a DEA sting based on this information and asks Shawn and Gil to hold off on doing anything to Boots’ killer. If they get Terry, then the hope is that the dominoes start falling. All the DEA finds in the bags is fertilizer. If anything now Jackson, Shawn, and Gil are set back and may have put the kids still at Quitman in danger. Shawn is at the end of his rope after Annie has to put the house up for sale to make ends meet. He can’t stand the idea that his best friend’s widow will never get justice or peace. They’re all still going after Carroll, but Shawn wants the person who made Boots bleed to bleed as well. Boots himself makes an appearance in flashbacks to highlight the pain that Shawn is feeling. Since Jackson tied his hands by trying to do things by the book, Shawn tries a different approach. He goes to Terry Bosch’s rivals hoping hey will dispatch Boots’ killer for him. After some initial danger, the plan works out. Boots’ killer dies and Shawn steals his drug money as double payback. Boots was Shawn’s compass. He talked Shawn down from the brink and reminded him what was important in life. As much as Shawn wants to use that dirty money to help Annie, instead he thinks about what Boots would tell him to do. Jessie is playing a dangerous game getting so close to Carroll. She has been such a great help to his campaign that he whisks her a way on a private jet to schmooze a private donor. Gil marches right into the campaign office looking for her, risking his cover. 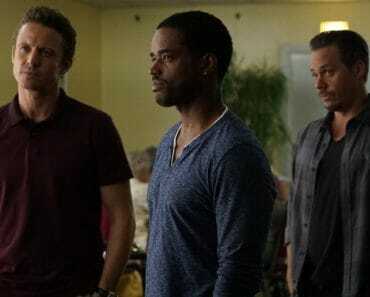 When Jessie finally comes home Gil is furious that Jessie is continuing to put herself at risk. They are at an impasse about Jessie’s choice. There is no doubt that the deeper Jessie gets, the more danger she is in. While Jackson is away Marina plays hardball at work. Marina basically blackmails her client’s opposition to reach a settlement. This impresses her client so much that she offers Marina a celebratory dinner. After the rush of the day, Marina comes home to find the security footage of Jackson and Jessie talking. She heads over to Jessie’s to confront her, and finds Jessie’s mom instead. Jessie’s mom hasn’t changed in 25 years. Perpetually drunk, she tells Marina that Jackson was in Quitman. 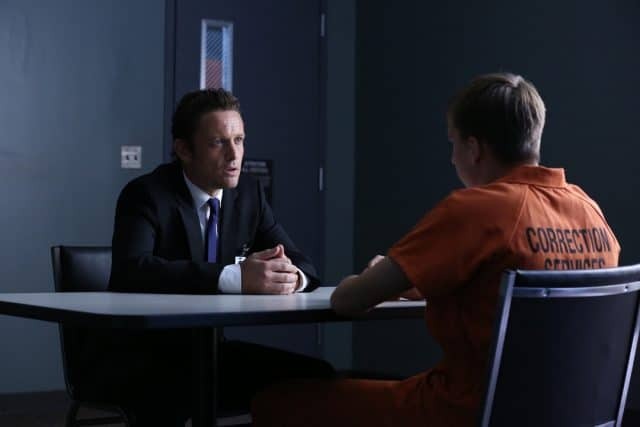 Marina is furious that Jackson lied to her, and that when she confronts him he continues to lie to her about the extent of what is really going on in his life. She rightly kicks him out of the house, but she has no idea just how much danger she’s in from her fiancee’s past. The game is heating up. 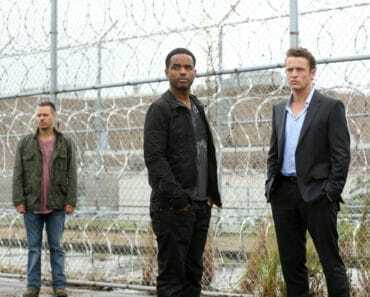 Will the flames burn Carroll and his followers, or the four friends seeking justice? 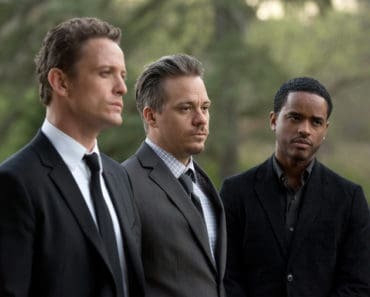 Game of Silence Season 1 Episode 6 Review: "Into the Black"
The guys and Jessie dig themselves in deeper into lies and murder in this week’s Game of Silence.